We assumed we reached peak neon back in the 80s and early 90s but apparently, we were mistaken. 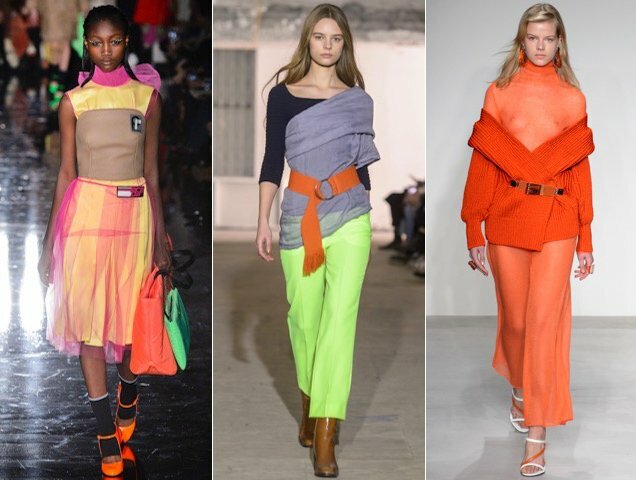 Lately, it seems like every designer is incorporating a touch of fluorescent brights in their collections. And we’re not just talking athleisure. We’ve seen pops in red carpet-worthy gowns, suits, minidresses, pants and sheer pieces. We first noticed the neon resurgence taking hold during the Spring 2018 presentations. Rihanna was a big fan, giving almost every piece in her Fenty x Puma offering some kind of fluorescent accent. Marc Jacobs was all about the 80s outsize power suit this season, even supplying one in neon orange complete with a neon pink fanny pack. Jeremy Scott brightened up his already colorful collection with neon green trim on a couple of minidresses. 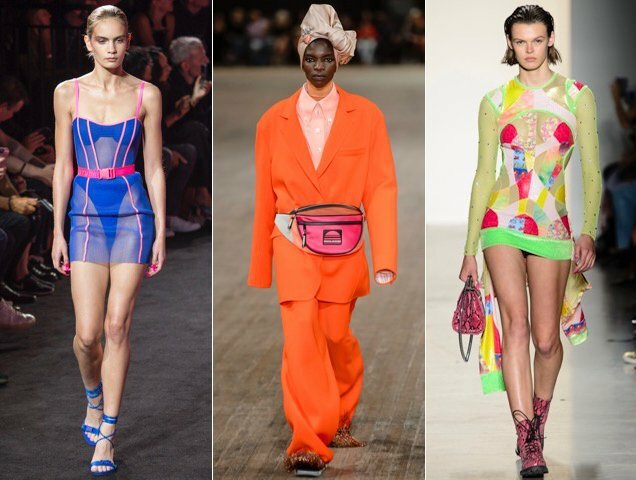 Neon was also spotted on the runways of Delpozo, Maryam Nassir Zadeh, Carolina Herrera, Prabal Gurung and Christian Siriano. For Fall 2018, the trend expanded. Prada kept things sheer and bright with neon even extending to the scarf collars. Maryam Nassir Zadeh continued embracing fluorescents by showing a retina-burning green/yellow dress and pants in two separate lewks. And Krizia gave us a safety orange belted cardigan draped off a sheer neon orange turtleneck maxi dress. Sonia Rykiel, Moschino, Tom Ford and Balmain also gave nods to neon. The shocking shades have already found their way to the streets. When in doubt, grab a pair of neon pink Nike shorts and team with a Victorian blouse plus combat boots. Don’t be afraid to layer your neon by matching your vibrant Burberry trench to your shirt. Or top off utility pants featuring neon orange trim with a neon orange crop top. They’re all bright ideas. The key to wearing the neon fashion trend in 2018 is to opt for it in small doses instead of head to toe. 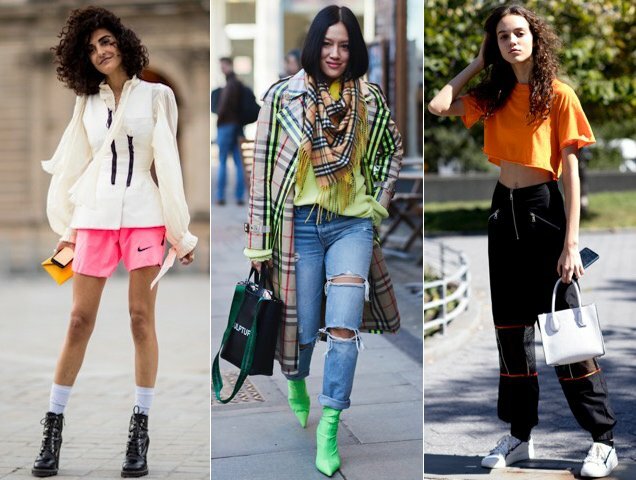 So if you’re ready to reintroduce neon to your wardrobe and not just your gym attire, check out the 18 currently trending fluorescent separates below.